Arrive at Yangon International air-port; meet the native English speaking guide. Transfer to check in hotel.Lunch break. Start sightseeing of Yangon city center, Sule Pagoda, City Hall, High court, Independence monument, where you can see the bustling life of the city. 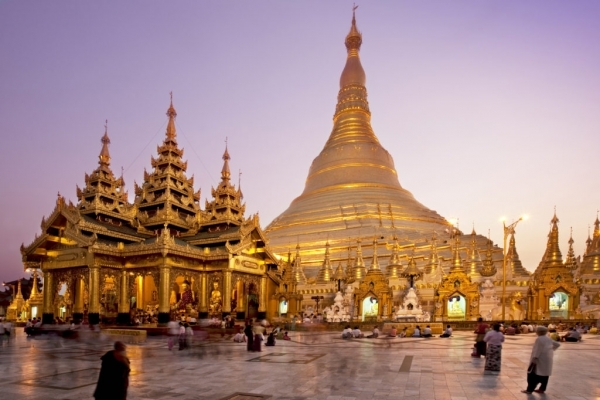 Then proceed to the well-known Bogyoke (Scott) market-famous market of Yangon and visit the spectacular religious edifice,Shwedagon Pagoda for daybreak sunset. Overnight in Yangon.Remarks: Bogyoke (Scott) market, National museum are closed on every Monday and Government holidays. After breakfast, transfer to airport for Sittwe flight. On arrival you will be welcome by our native station tour guide. Transfer to jetty; enjoy aboat ride to reach the old ancient city MraukU. Check in hotel.Leisure daybreak.Overnight in MraukU. Morning visit the MraukU highlights:ChitThaungStupa, AnnDawThein, Lemyathna,LaungBwann-brauk,KhraungkaikPitaka, BodiShweGu, RatanaMaungaung,SakyaManaung. Lunch break. 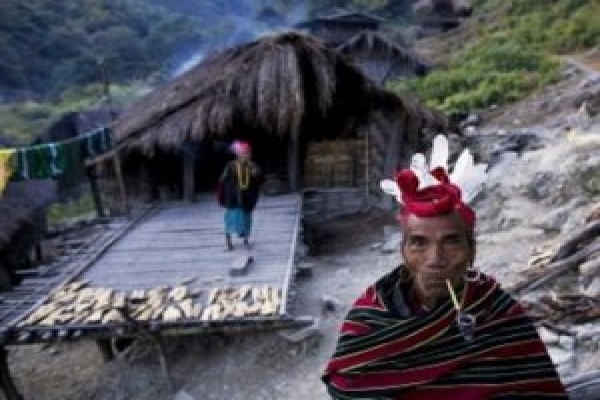 PM sightseeing: visit the Royal Ancient Palace Site, Zi NaManaung,MongKhaMoung Temple, Anuma Lake, LaksayKan, Wuthay Image, Pan Zee Mraung, Shun Pun, Phara Baw, LokaManaung.Overnight in Mrauk U. After morning breakfast, transfer to Mrauk U jetty, which n take a (3 hours) boat ride to explore the Chin village sightseeing,women with Tattoo, traditional life style. Lunch break.Return to Mrauk U daybreak.Overnight in Mrauk U. 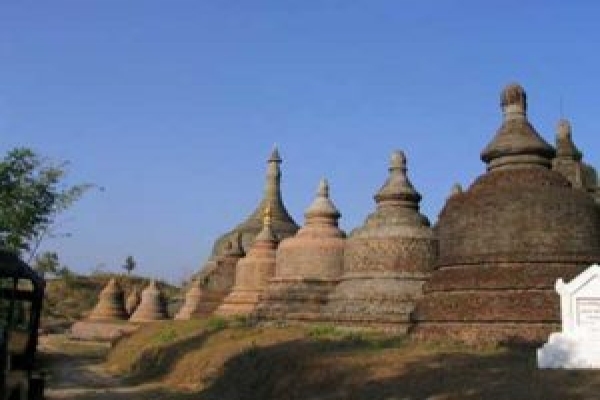 After breakfast, sightseeing highlights: visit Nibbuza, Pharaouk, KoThaung, Kraunglaydon Garrison, South Mraungmo, NyidawPhara, TheingriShwegu.Transfer to U Mrauk jetty,arrive Sittwe and check in Hotel. Overnight in Sittwe. After breakfast, private leisure time to depart Yangon, walk and explore around the Sittwe(old British) sea food market and local market, Old British constructed school with Blind Bird’s Houses. Lunch break. Transfer to Sittwe airport for Yangon flight. Check in overnight Yangon Hotel. After breakfast at hotel, leisure time to pursue individual interest until your lunch.Transfer to the airport for next departure from Yangon.